I came across this ad today; the Arabic copy reads, “A revolutionary taste”. 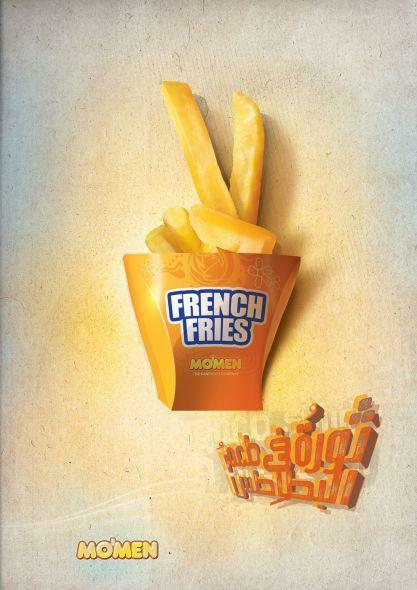 Mo’men, a fast food restaurant in Egypt, is a truly Egyptian brand, having started as a modest food cart on the streets of Cairo. Now 57 restaurants strong, and serving over ten million customers a year, Mo’men is quick to show its patriotism with this ad. It’s interesting to juxtapose how Mo’men wants to position itself with KFC’s perceived positioning throughout the revolution. State television accused protestors of being foreign agents, seduced by free KFC meals that were being handed out at the square. Later in the revolution, KFC became a symbol of oppression; as it was believed the old regime’s hired thugs were given 100 Egyptian pounds and a KFC meal to terrorize protestors. I wonder what other consumer brands will jump on the bandwagon of Egyptian Revolution values. Do you know of any other brands that already have? The current crisis in Somalia and urgent appeals by aid agencies leads me to examine the nature of marketing campaigns launched by those agencies and how they resemble or differ from campaigns for products and services. Some non-profits believe that because they’re not in the business of selling products and services that they’re not required to conduct full-fledged marketing campaigns, but the reality is, to achieve their goals and raise the funds required to help others, they need to have a well thought-out marketing strategy and run full marketing campaigns. Islamic Relief is an example of a non-profit who does it right. I took Islamic Relief as a model because they are one of the most popular as well as most active Muslim aid agencies worldwide. Their campaign includes Live TV appeals; fundraising events worldwide; online fundraisers in the form of webinars; social media, including Facebook, Twitter, blogging, videos; print ads; direct mail and email campaigns; PR; paid search ads; flyers; calendars and other print pieces; as well as outdoor advertising. As with most aid agencies, there is an emotional appeal, usually featuring a specific humanitarian case, rather than numbers and statics, as in this video entitled “The Reality of Famine”; a strong call to action that is easy to implement; and a description of the value of an individual’s contribution – “$75 can feed a family for a month”. Now that the East Africa crisis coincides with Ramadan, Islamic Relief is tying its campaign with Ramadan values of giving generously to the needy, as Muslims are more likely to give to charitable causes knowing they will receive increased rewards, and especially that in fasting, we get a taste of others pain, and also points out that contributions are zakat eligible. All this is done through an integrated campaign using a variety of media channels. With such noble goals, of providing much needed assistance to people in dire conditions, relief agencies need to carefully plan and implement their marketing campaigns to achieve maximum impact. What are some examples of other Relief Agencies that are do it right, and others that do not? Ramadan is here, and while many of the pious are gearing up for a month of self-denial and supplication, many Muslims are also frantically stocking up on supplies in preparation for Iftar gatherings and boundless hospitality. A Western, non-Muslim observer, would see a huge paradox that the month of fasting and abstinence is regarded by many Muslims as the month of feasting and overabundance. Initially it was food-related companies that would take advantage of consumer’s heightened interest in food and increased spending on food items to increase their marketing messaging during Ramadan. Now, it is not only food-related companies; hotels for example launch special Ramadan packages, and cell phone network providers emotionally appeal to the value of keeping in touch and provide their most attractive offers. 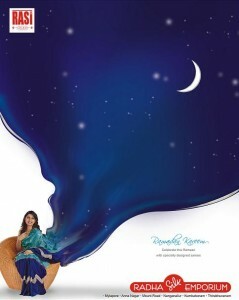 Ramadan is also the time for many companies to launch new products. This leads me to wonder, as marketers, where do we draw the line between business practicality and opportunism? How do we align our Muslim values and trying to preserve the true spirit of Ramadan with business common sense, especially in challenging economic times? Do you have an example of a company that has succeeded in achieving this balance?